Drop ceilings for apartments | West Coast Drywall Construction Inc. 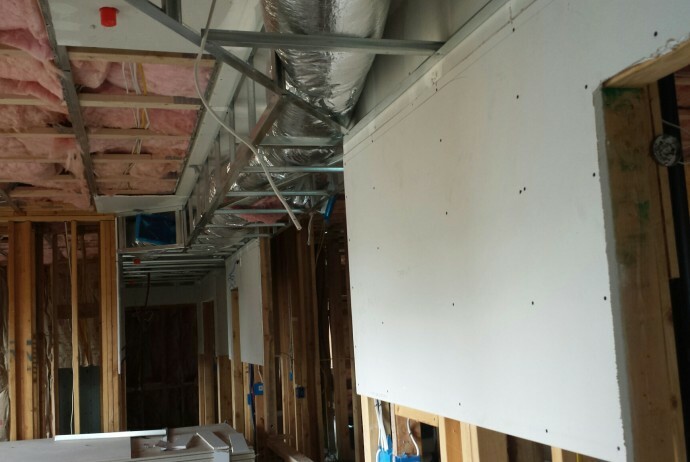 This is lightweight commercial ceiling framing to enclose the ductwork in the apartments in Avenal, Ca. Notice we have already installed the fire envelope above the duct chase. This is a common practice with multiple floors of apartments.